On March 18, the last Volkswagen Phaeton rolled off the line at the company's so-called "Transparent Factory" in Dresden, Germany, concluding a production run of nearly 15 years. The ultraluxury sedan with a VW badge and a starting price of just under 90,000 euros was the over-ambitious brainchild of former group Chairman Ferdinand Piech. The model failed to reach its sales targets and also failed to transform VW's brand image in the U.S. It was first shown as the D1 concept at the 1999 Frankfurt auto show. While close to the production car, the D1 featured a hatchback. "When our competitors praised the concept, I knew I had taken the right decision," said Piech, then VW's CEO, of the decision he'd already made to go with a traditional three-box design. Piech thought the praise was purposely misleading. The glass-walled factory where the Phaeton was virtually hand-built had capacity for 20,000 vehicles annually, with a plan to increase output to 35,000. In 15 years, VW built 84,253 units. When then-Audi of America chief Axel Mees said at a 2004 press event that the Phaeton's poor sales were due to Volkswagen "underestimating the weakness of the brand," he was immediately sacked. A year later, VW CEO Bernd Pischetsrieder yanked the Phaeton from the U.S. market as part of his power struggle with Piech. Pischetsrieder was soon gone. The factory has been turned into a "center for E-mobility"; VW says it eventually will be used to build cars again. 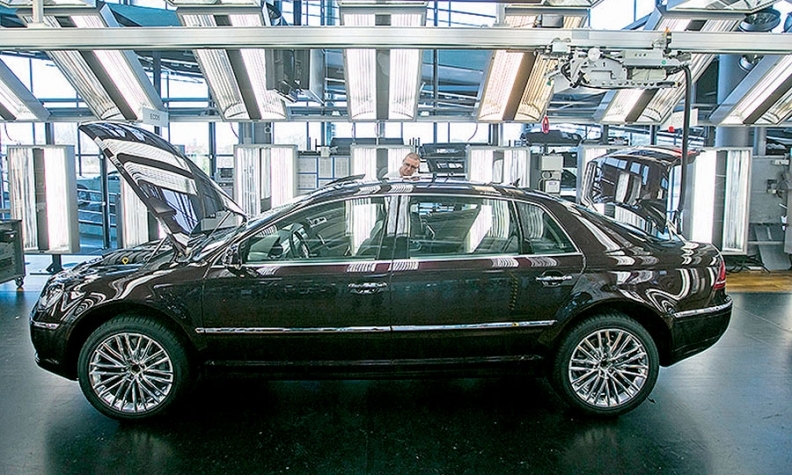 The company says it is working on a second-generation Phaeton. According to its customer website, it will feature a "long-distance, fully electric powertrain and forward-looking assistance systems" and will display "modern and emotional design."